Maximilian has begun the "WEEK OF!" Skullgirls. Watch him do battle online. The start of the "WEEK OF!" 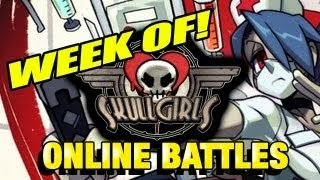 Skullgirls and its follow-up have been posted by Maximilian. The first two parts show Max grinding in the game's online world.